Our scratch build CNC machine in the Make 21 edition. There is a great article on the machine with a great narrative overview and a cool illustration. Check out the new edition of MAKE Magazine . If you pick it up, you will find a great article by James Floyd Kelly describing the CNC Machine you see here on this website (an enhanced version of the step-by-step seen to your left). 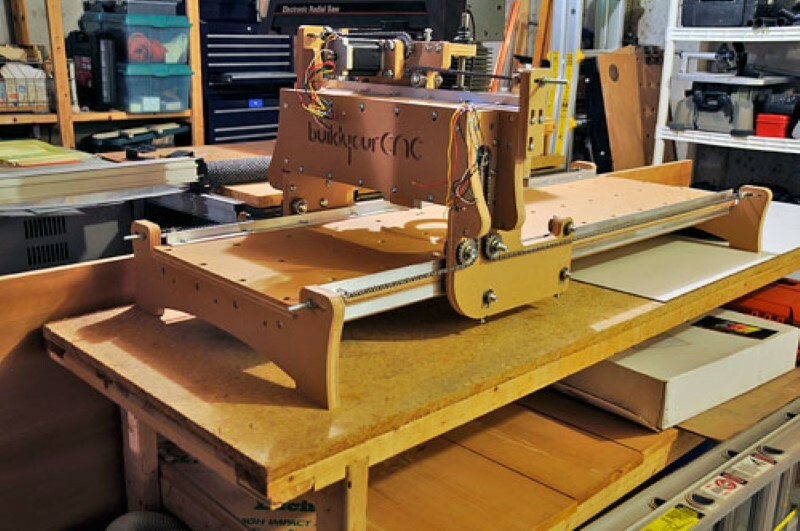 He shows a glimpse of the CNC machine and the process that is outlined in the new book "Build Your Own CNC Machine" by Patrick Hood-Daniel and James Floyd Kelly and based on the machine in the Hardware Plans and kit.